The government on Thursday detailed the information systems it will use to warn local municipalities if Self-Defense Forces radar detects North Korea’s latest planned missile launch. North Korea on Tuesday informed the International Maritime Organization that it plans to launch a satellite-carrying rocket sometime between Feb. 8 and Feb. 25. The rocket, widely believed to be a cover for a long-range ballistic missile, would fly over part of the Sakishima island chain in Okinawa Prefecture, which includes the islands of Ishigaki and Miyako. Since the expected trajectory is similar to that of a missile North Korea fired in December 2012, the government indicated it will use the same systems, called J-alert and Em-Net, that were employed at that time. If the missile’s course matches the information North Korea provided, Tokyo will first use J-alert to inform the residents of areas such as Okinawa Prefecture, which stand to be directly affected by the launch. J-alert instantly and directly informs the local municipalities at stake. Once J-alert has done its job, the rest of the country would subsequently be informed via an emergency information system called Em-Net, which is installed at designated government entities and institutions such as the public transportation system and news organizations. Both alert systems are set to be tested on Friday. In the event that the missile takes an unexpected course over Japanese territory, the government will also use J-alert. If the missile’s debris should fall on Japanese soil, Tokyo will warn the residents of nearby communities to stay inside and away from the debris, which might contain a highly toxic chemical that can cause heart failure. The government will not use J-alert if the missile does not fly over Japan. But it will supply information about the launch through Em-Net. Meanwhile, a transport vessel carrying ground-based ballistic missile interceptors left a Maritime Self-Defense Force base in Hiroshima Prefecture for Okinawa on Thursday to prepare for the missile launch. The interceptors, named Patriot Advanced Capability-3, would be used should the missile fall toward Japanese islands. 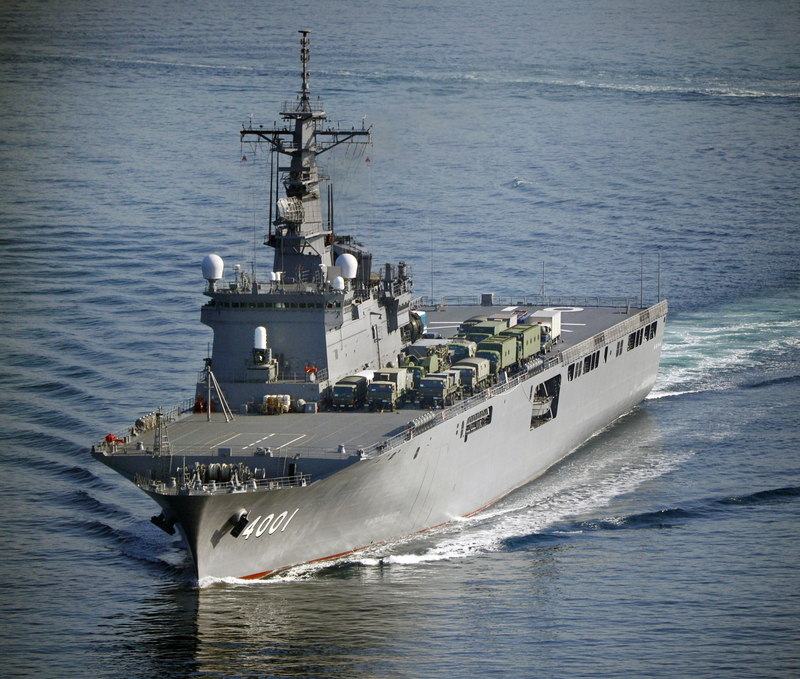 The MSDF Osumi transport vessel is set to arrive in the southern island prefecture in a few days, and the Patriot PAC-3s will be deployed on Miyako and Ishigaki islands. 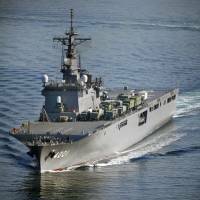 Japan has been on alert following the North’s notification on Tuesday, sending three MSDF Aegis anti-ballistic missile destroyers to the East China Sea and the Sea of Japan, according to Japanese officials. Defense Minister Gen Nakatani has already issued an order to the Self-Defense Forces to prepare to shoot down any North Korean ballistic missile in the event it falls toward Japanese territory. Also on Thursday, Senior Vice Foreign Minister Seiji Kihara met with representatives from nonpermanent U.N. Security Council members in Tokyo, asking them to walk lockstep with Japan to discourage North Korea from realizing its planned missile launch.